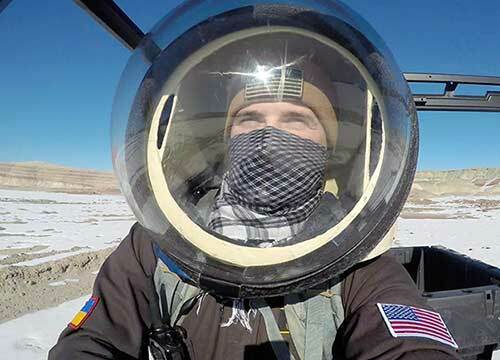 PhD student goes to "Mars"
IE PhD student Denys Bulikhov spent the first two weeks of 2019 in a Mars simulation research station in the Utah desert. The mission's purpose was to improve technical expertise and knowledge in preparation for future travel to Mars. A second-year member of the Landry Lab, Bulikhov served as the executive officer (second in command) of the multidisciplinary Purdue MartianMakers team. 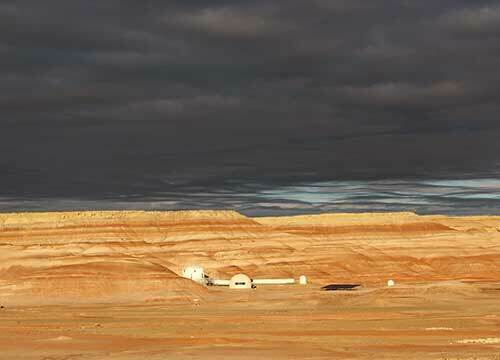 The Purdue Mars Activities and Research Society (MARS) selected the team to operate the Mars Desert Research Station (MDRS) in Utah from Dec. 30-Jan. 12. 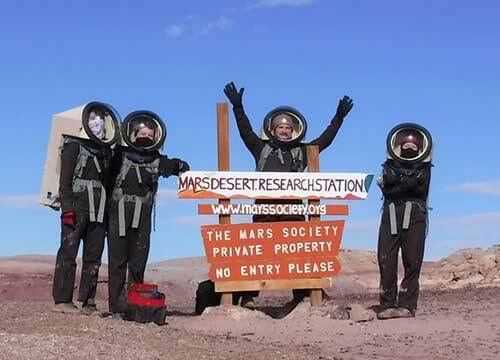 Built by The Mars Society in 2001, the desert research station includes a small two-story habitat, an astronomical observatory and a scientific laboratory and greenhouse. The team cannot break simulation during the mission and must don a flight suit and a heavy air pack with helmet every time they perform extravehicular activities. Bulikhov found out about this program through the Purdue MARS club, which organizes the Purdue MDRS team. He applied to the program during the Fall 2017 semester and was accepted to serve as an Executive Assistant for the six-member MDRS-202 team. "It was an amazing experience - very immersive," said Bulikhov. "I would definitely advise it to someone who wants to experience closed quarters in extreme environments. Everything has to be shared with your teammates – food, bathroom, air, very little amount of space. In a very short time you become a tight-knit group. Everybody has their specific role and responsibilities, and you have to manage your own tasks and team tasks to be successful." Fellow team members were: Cesare Guariniello, a 2016 School of Aeronautics and Astronautics doctoral program alumnus and current research associate; Alexandra Dukes, crew journalist and AAE master's student; Kasey Hilton, crew engineer and senior chemistry major; Ellen Czaplinski, crew geologist and 2016 Department of Earth, Atmospheric, and Planetary Sciences alumna; and Jake Qiu, health and safety officer and senior agricultural and biological engineering student. The simulation included both joys and challenges. Bulikhov said he enjoyed the "extravehicular activities" (EVAs) the most. "The landscapes were breathtaking, snow or no snow," he said. "Out of 24 total hours of EVAs [for the team] I had almost 20. The biggest surprise for me was when I discovered a dark spot in a rocky formation and measured its radiation level, which was almost 10 times higher than the average ambient radiation level of the area. It actually was a dinosaur fossil which was weakly radioactive!" What was the biggest challenge for him? "Operating electronic equipment wearing thick gloves and a space suit outside in freezing blizzard," he explained. "Batteries fail, touchscreens don't work - very frustrating at first. Also, 12% humidity was harder to handle than I thought. You have to constantly monitor your water intake and skin condition." "How stress experienced during simulated Extravehicular Activity (EVA) affects decision making of an astronaut"
"Radiological mapping of MDRS and surrounding areas"
"The developer had some issues with the software, so I am waiting for the update to resubmit the raw data and analyze results," he said. "As for radiological mapping, I am almost done with my final report on the project which will be shared with the School of Nuclear Engineering." Bulikhov said he learned interpersonal lessons as well as scientific ones. 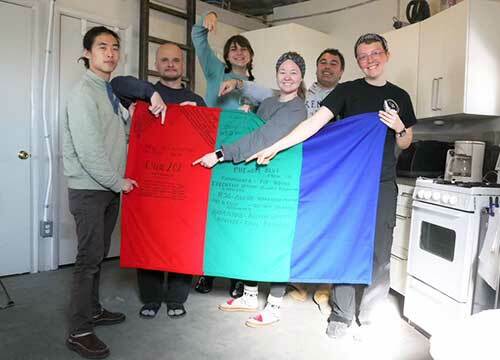 "We had lengthy discussions about the correct way to hang toilet paper (over or under), and the length of a nap and when it turns into full-blown sleep," he said. "It got so heated - in a funny way - that we had online polls. The poll determined that approximately 85% of people prefer hanging toilet paper 'over' as the correct way, and the other 15% of people are probably just from another planet. The poll about naps was split down the middle." He also learned a lot about what practical life skills might be in space, including conserving water and learning to cook with re-hydrated food. "You get a small taste of how that can actually be – living in cramped conditions on a desolate planet with very limited resources, he said. And Utah in January had its own challenges. 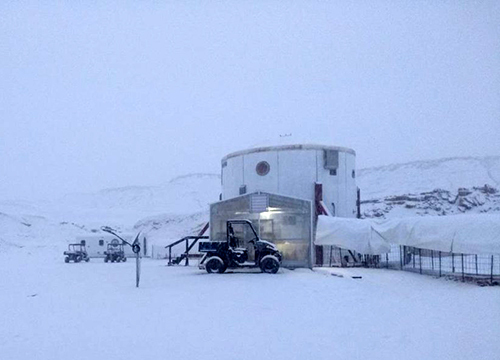 "Even though the MDRS is supposed to simulate Martian conditions, for the first week we thought we'd gone to Pluto, or at least Antarctica," said Bulikhov. "We had several blizzards and snowfalls. It was extremely cold and very surreal. About mid-rotation everything melted and for two days 'Mars' turned into mud country – it was wet and deep and mud was everywhere. Only during the last three days did we experience the 'red planet' - dry, cold, orange-red and beautiful." To sum up, Bulikhov has some advice for future participants. "Be a team player," he advised. "Accomplish all the tasks assigned to you, on time. And buy lots of baby wipes – showers are scarce, very short and cold." 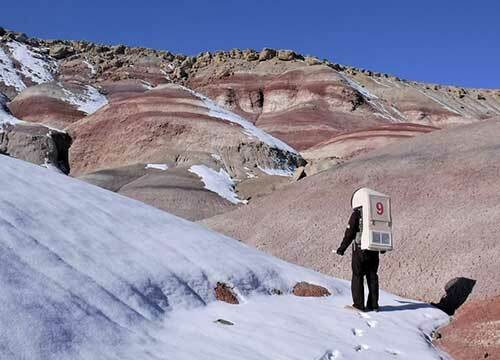 On January 10, CBS's Innovation Nation sent a video crew to document MDRS-202 and will produce an episode dedicated to MDRS and its research. The CBS program is a day-time Emmy award-winning show that focuses on the spirit of innovation, forward-looking visionaries and the history of scientific pioneers. BIO: Originally from Odesa, Ukraine, Denys Bulikhov specializes in Aerospace Human Factors. He earned his Master's degree in Space Studies from the University of North Dakota, a Bachelor's degree in Management from Paul Smith's College, and a Bachelor's degree in Psychology from Odesa National University, Ukraine. Bulikhov has done research in psychology, sociology, management, planetary science, human factors engineering and modeling. Outside academia, he served in the U.S. Army in an airborne unit, and is a certified USPA C-class parachutist, PADI rescue diver, and FAA senior rigger, and is in the process of earning his FAA private pilot license. In his free time he participates in various running events and enjoys his family.